If you have one, or several missing teeth, you may consider dental implants to fill in your gaps. Dental implants are a sure way to transform your smile into one you can be truly proud of. However, you may not fully understand this procedure or know whether or not you would make a good candidate. Luckily, your dentist can help you answer your questions and find out if you should consider this powerful dental procedure. Find out more about dental implants with Dr. Steve Gilbert and Dr. Carlos Velez at Gilbert Dental Care in Center City, Philadelphia, PA.
Implants can replace a single tooth with one standalone implant, several teeth with two implants on either side of a dental bridge, or even all the teeth on an arch using four or more implants to hold a full or partial denture in place. Missing teeth cause bone atrophy. Good candidates for implants should have an adequate amount of bone remaining in the area of their missing tooth to support an implant. How will dental implants benefit my smile? Implants keep your smile healthy. The implant replaces the tooth and its root, helping minimize or even eliminate the side effects of a missing tooth. An implant lies within the jawbone under the missing tooth, stimulating the bone to prevent bone atrophy and keeping the bone intact. The implant also fills gaps in the arch to ensure the surrounding teeth do not shift to compensate for the extra room. 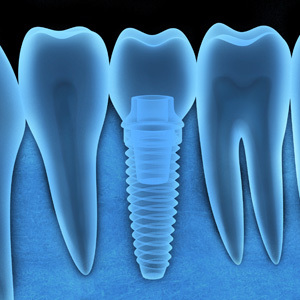 Implants function virtually the same as your natural teeth. Implants are made to last a lifetime with the proper care. 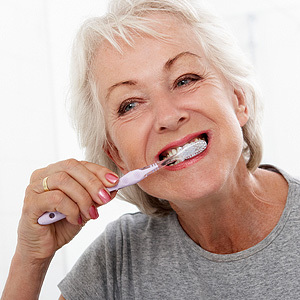 There is no need to remove a dental implant to clean it or eat. 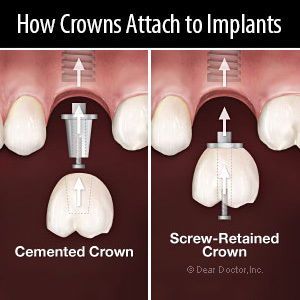 In fact, implants remain permanently in your smile and feel, look, and function just like your natural teeth. Implants help you look great and feel great, too. Many people are ashamed of the gaps in their smile but are unsure how to go about repairing them. Luckily, with dental implants, you can permanently replace the missing teeth in your mouth, boosting confidence and self-esteem to help you feel better about your appearance and make face-to-face encounters easier and more enjoyable. For more information on dental implants, please contact Dr. Steve Gilbert and Dr. Carlos Velez at Gilbert Dental Care in Center City, Philadelphia, PA. Call (215) 972-0406 to schedule your appointment with your dentist today!